LOS ANGELES — The Northridge earthquake that hit 25 years ago offered alarming evidence of how vulnerable many types of buildings are to collapse from major shaking. Since then, some California cities have taken significant steps to make those buildings safer by requiring costly retrofitting aimed at protecting those inside and preserving the housing supply. And because the public generally doesn't keep tabs on municipal retrofit laws, many could be in the dark about which cities might be more dangerous than others in an earthquake. "We can't afford a patchwork of California cities, some of which save lives, and others which lose lives," said Los Angeles Mayor Eric Garcetti, who authored the nation's most sweeping earthquake retrofit law, which will require 15,000 buildings to be retrofitted, and is pushing for a more uniform approach for seismic safety. San Francisco, Oakland, Berkeley and Fremont require apartments with flimsy ground ground-floor construction to be strengthened. Yet other Bay Area cities in the heart of California's booming tech region, including Palo Alto and Burlingame, have not yet acted. San Jose, California's third-largest city, doesn't even know where its vulnerable buildings are located but it has applied for a grant to create an inventory. 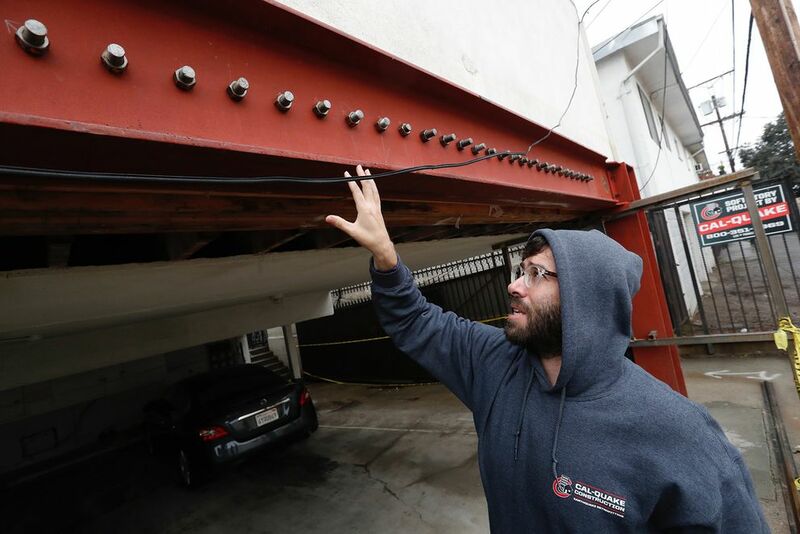 On the Westside, Santa Monica, West Hollywood and Beverly Hills have all passed some kind of retrofit law recently, following reports about the danger from faults that run through the area. But in the South Bay, Torrance, Redondo Beach, Hermosa Beach, and Manhattan Beach have not. Neither have some older cities in Orange County, including Anaheim, Fullerton and Santa Ana. Many Inland Empire cities haven't even completed retrofits or demolitions of its old brick buildings, a hazard that has been more comprehensively resolved elsewhere by the 1990s. Yet Ontario has changed its outlook: officials are now creating a new inventory of all types of seismically vulnerable buildings. Some cities, such as Alhambra, take their cues on what Los Angeles County requires of buildings in unincorporated regions not ruled by a city government _ such as East L.A., Florence-Firestone and Hacienda Heights. But L.A. County has not passed any recent retrofit laws for the unincorporated area, where 1 million people live. It's possible state officials may step in. With a new governor in office, Assemblyman Adrin Nazarian, D-North Hollywood, said he would reintroduce bills that were vetoed by Gov. Jerry Brown that would have provided for a tax break off the cost of retrofit of 30 percent for owners and mandated local governments to create their own inventory of earthquake-vulnerable buildings. Brown said he was concerned about how much both bills would cost the government. Officials have long known exactly what type of buildings are likeliest to collapse in an earthquake, yet have spent a generation or more not requiring them to be fixed. It's time that has been lost even as so much wealth has been created in just the last 25 years, said Tom Tobin, former executive director of the California Seismic Safety Commission. "The length of time it's going to take us to recover from a large earthquake _ the economic damage, the social disruption, the loss of business _ will set California back decades," Tobin said. "And it will be a price that we will pay for decades to come." Gov. Gavin Newsom, in the past, has been supportive of seismic retrofit efforts. As mayor of San Francisco, he began an effort completed by his late successor, Ed Lee, that led to a mandatory retrofit law for about 5,000 apartment buildings with a flimsy first story, typically used as a garage, carport or for a retail shop. 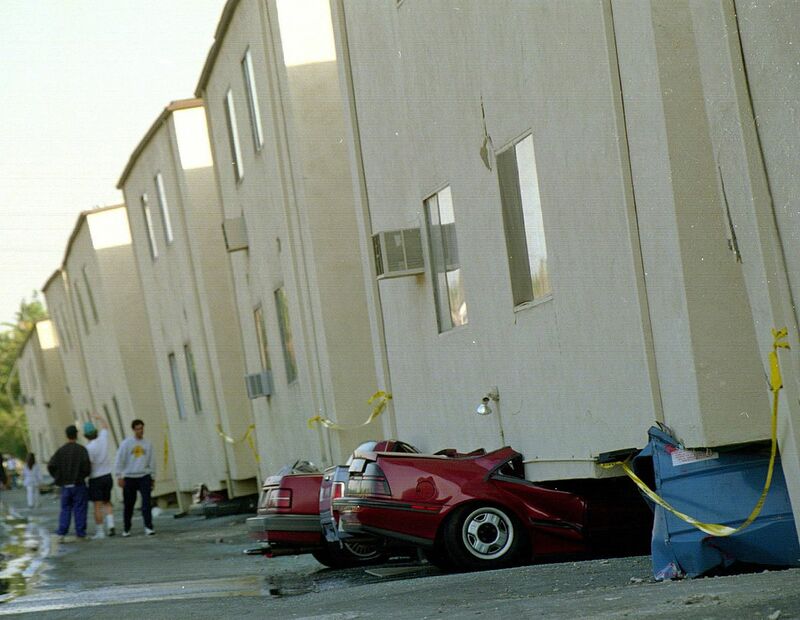 About 200 of those "soft-story" buildings collapsed in the Northridge earthquake, including one building in which 16 people died. It's easy to see why it can be difficult for elected officials to act _ the price tag comes first and the public generally isn't upset until the disaster strikes. Some local officials, including those in the city of Orange, said they have no plans to make changes to its rules unless the state takes action. "You don't get citizens marching on City Hall or the state Capitol saying, 'Save us from the earthquake,'" said Peter May, a professor emeritus at University of Washington and an expert on policies to reduce the risks from earthquakes. Instead, elected officials have to take the advice experts tell them and be "willing to step up and take leadership on that. ... It's a political calculus that comes back to upfront costs, delayed benefits, and a lot of headaches along the way." In some cities, there's a reluctance for government to step in. "I'm certainly not in favor of government intruding on private property rights," Highland Mayor Pro Tem Larry McCallon said. Redlands Mayor Paul Foster said mandatory retrofits represent "a huge, prohibitive expense to the private owners." Riverside Mayor Rusty Bailey said he's heard from merchants who fear retrofits could "potentially put some businesses out of business and property owners would lose their income." San Bernardino's point person on earthquake safety issues has left the city's employment. "It is a delicate balance of living in Southern California. Building safety is a top concern for our city, but mandatory programs can have equally profound impacts on housing and our economy," said Mike Lyster, a spokesman for Anaheim. "I'm concerned about the prospect of these mandatory costs that we're passing on _ some pretty large costs here, on the order of $10,000 per unit," said Councilman Tim Goodrich. "Costs aren't just going to be absorbed by landlords; it's going to be passed on to residents. And rent has risen astronomically in the last few years." According to Zillow, rents in Torrance rose from $2,500 in November 2010 to $3,100 in November 2018. Mayor Patrick Furey, however, said failing to take action could result in not only a high death toll, but also a housing catastrophe should many older apartments be destroyed. "We have a housing crunch right now, and if we lose those houses, they're lost even longer," Furey said. Torrance and Hermosa Beach, like San Jose, applied for a grant to do seismic inventory. Pasadena and Mountain View are discussing potential ordinances that would require retrofitting of some apartments. Meanwhile, Palmdale building officials say they don't believe they have any of the most vulnerable kinds of structures in the suburb. A prudent use of all that equity would be to invest it into a seismic retrofit, said Heidi Tremayne, executive director of the Earthquake Engineering Research Institute. "It's better to invest now." Groups representing owners and tenants have begun to see the importance of retrofits, and the focus of many of them is how to accomplish the retrofits and finance them, rather than oppose the laws. Owners have also become increasingly become aware of a California appeals court ruling placing owners liable for deaths and injury from earthquake damage. But doing nothing may not help tenants. "Not addressing this and figuring out how to make sure we're preserving safe and affordable housing, and prevent displacement, is a losing proposition," said Larry Gross, executive director of the Coalition for Economic Survival. Some cities are offering some sweeteners for owners. Oakland's law allows owners to add one or two more units to an apartment building, above the current density cap. 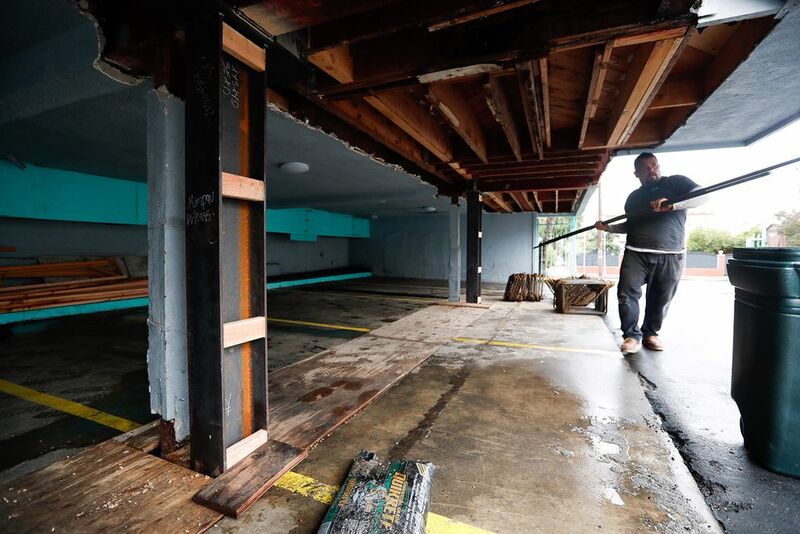 Oakland and Berkeley have also received funding from the Federal Emergency Management Agency and the California Governor's Office of Emergency Services to help offset retrofit costs.